We all have a growing mountain of data to keep safe, making online backup a good investment. SkyHub differentiates itself by offering unlimited storage space and uploads, along with convenient access to your files. This service is about as uncomplicated as it gets. After minimal setup, SkyHub automatically backs up all your Windows and Mac machines, along with any attached thumb drives and external disks. Uploads are protected by military grade AWS 256-bit encryption, and there is no restriction on the amount of data you can store. Once online, your files can be viewed via SkyHub’s website or mobile apps (iOS and Android). You can stream media files straight from the cloud, and all files can be shared securely. 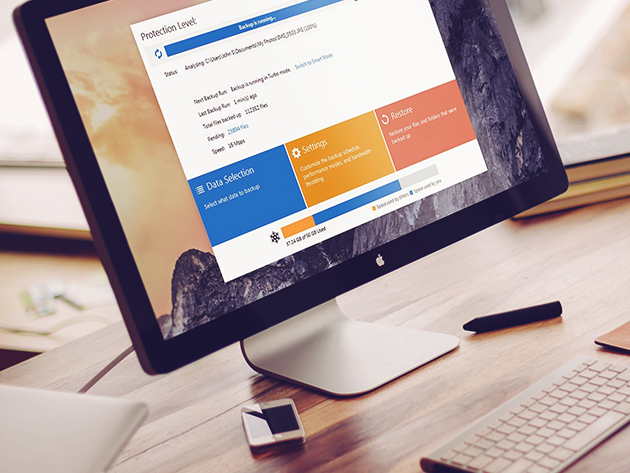 For added peace of mind, backups remain online even after you retire a device from the system. If you’re looking for an inexpensive way to back up your data, TNW Deals is currently offering SkyHub lifetime subscriptions for $89.99. Order now to get instant access to this backup solution.